A Crowns of Courage halo wig can make the difficult experience of chemotherapy related hair loss a little easier. 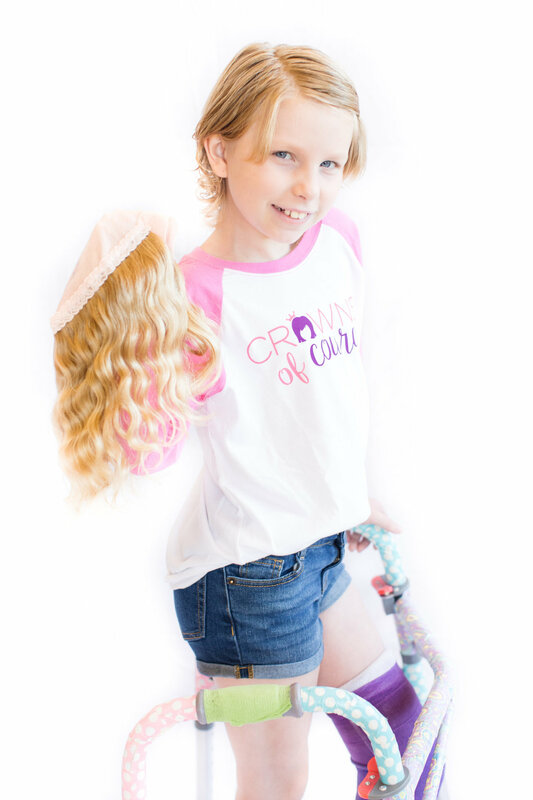 Our recipients say they feel strong and confident when wearing their halo wig. Wigs can be made using the patient's very own hair. Already lost your hair? Don't worry! We have hair that has been donated for this very purpose.